Post election, emotions are running high. Some people are disappointed; others are jubilant. Our concern lies in the fact that many of the families we support are afraid. And rightly so. In the last week, hate crimes and rhetoric against people of color, immigrants, Muslims, Jews, women and the LGBTQ community have increased. Children are afraid their parents will be deported. Young Americans who have spent nearly their entire lives in the U.S. fear the Deferred Action for Childhood Arrivals (DACA) will be repealed, separating them from the only home they know. Families who rely on health insurance through MediCaid or Covered California (via the Affordable Care Act) may lose their coverage. Keep in mind half of all children in California have publicly funded health care. As we wait to learn how the new administration’s policies will affect the families we serve, I can say this: At First 5 Contra Costa, equity will remain our guiding principle in all the work we do. The vulnerable families we support need us more than ever. We will fight for and with them. We will call out policies that harm them. We will double down on our efforts to help all children thrive. Promote Covered California. It’s still active and the enrollment period runs through January 31, 2017. While we don’t know which pieces of the Affordable Care Act (aka “Obamacare”) will remain, it likely will take some time to “repeal and replace”. Encourage families who need health coverage to sign up now. 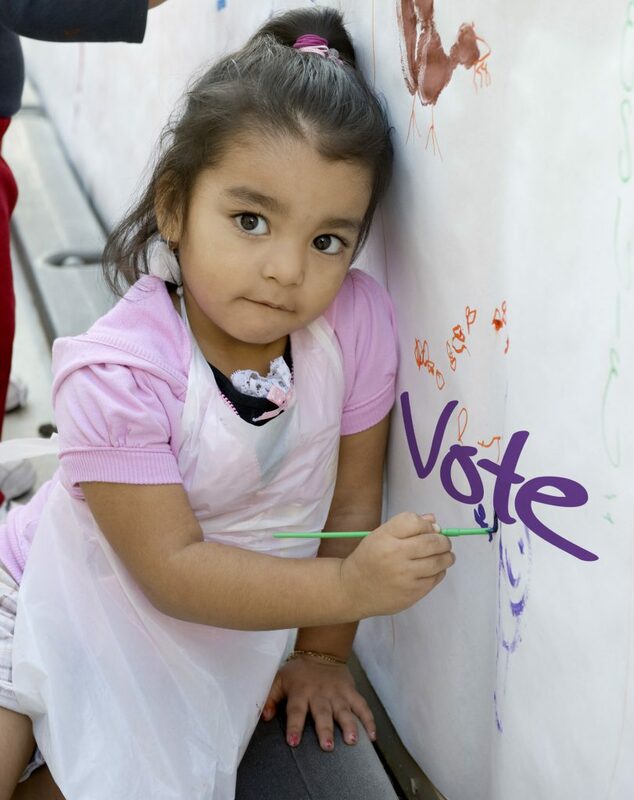 “How to Talk to Children About the Election” from the American Academy of Pediatrics. Talking to our children about racism and diversity from civilrights.org. Tips for helping children cope with trauma from Zero to Three. Inform families about their rights. Everyone has basic rights, no matter who is President. Undocumented immigrants have these rights, too. The National Immigration Law Center has information about these rights and safety plans. Share this information widely: English and Spanish. Connect with other parents and advocate for kids. Nurturing a social network is good for parents and great for communities. The First 5 Centers are safe places where parents can expand their social circles and find support. The three advocacy groups we fund (the Central, East and West Regional Groups) bring parents together to advocate for safe, just, and equitable communities for all Contra Costa children and families. I urge all of us who support and value families in Contra Costa to come together in denouncing those who would incite hatred and fear in our children and in our communities. We will not accept it and we will not normalize it. “California is – and must always be – a refuge of justice and opportunity for people of all walks, talks, ages and aspirations – regardless of how you look, where you live, what language you speak, or who you love…. This entry was posted in About First 5, In the News and tagged election, equity, First 5 Contra Costa. Bookmark the permalink. ← Early Care Providers: Join Quality Matters!